New Sponsorship Module | Liquid Steem | Passive Income Every Week! When you decide to delegate your Steem Power to @utopian-io you will be part of the Utopian Sponsors and rewarded. The way it was working before required a huge change, since many smaller sponsors were waiting in line for weeks without seeing a cent. The New Sponsorship Module is HERE! Now get Liquid Steem every week, based on how much you have delegated. Never wait in line to get your rewards any longer. You can become an Utopian Sponsor by delegating your Steem Power to Utopian using the "DELEGATE" button on the Utopian Sponsors page. 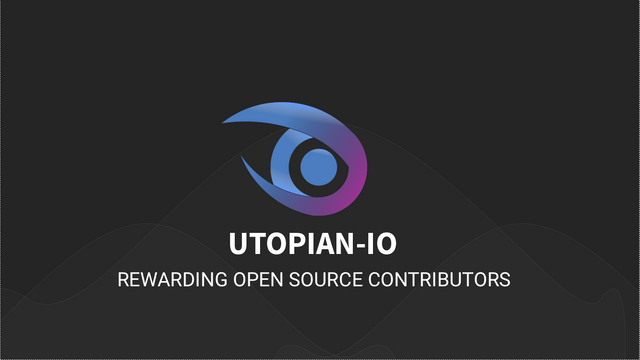 Sponsors share 20% of all the author rewards generated on Utopian, based on the amount of the delegation. The more you delegate the more you will profit from the 20% shared between all the sponsors. We encourage everyone to keep curating, since curation is fundamental for this platform, but you may want to delegate your voting power to Utopian and have a passive income. No need for curation. Just delegate and earn your rewards every week. You receive Liquid Steem not Steem Power. Gain visibility by being credited on every Utopian post and marketing activity. Help the growth of the Open Source ecosystem and the growth of the Steem ecosystem. The old Utopian sponsorship module was adding sponsors to the beneficiaries of each single post. By doing this, smaller delegators had to wait in line before being added (max 8 beneficiaries per post are possible). On top of that is impossible to predict how much a single contribution may gain. 5% to the moderators based on how many contributions they have reviewed. The new system sends Liquid Steem instead of Steem Power. It will take a week for all the posts using the old sponsorship module to be cashed out. Once all those posts have been cashed out, Utopian will manually send to all the sponsors and moderators the pending amounts. From that time on the new sponsorship module will be running and Sponsors and Moderators paid automatically for all the new rewards. The section Utopian Sponsor will be then updated accordingly. If you un-delegate before a week has been paid, you will not receive rewards for that week. Un-delegation immediately removes you from the beneficiaries. Moderators will now earn their rewards immediately. Supervisors will also get an additional percentage, 20% of the shares owned by the supervised moderators will be given to them. This percentage won't be removed by the Moderators, but paid on top by Utopian. This is honestly the best change for Utopian since I am part of it. So far I have checked my sponsor and MOD rewards every day but after a month still not received anything because of the old deferred system. This is boosting my motivation to do my MOD work and to delegate even more to Utopian. Thank you @elear for making this very important change. I am sure it will pay off by generally more motivated people in the Utopian ecosystem. I agree with you @flauwy. I delegated most of my SP :) to support the project. The best part we have the opportunity to see ROI. icing on cake, excellent news! Guess who's about to become a sponsor. ME!!! 😁 😁 for the greater good mate. Thx, this is agreat improvement. as a very early sponsot but with a small amount delegated I didn't see any rewards.. For me this was not a big deal but this is making it more fair for everyone. Do I need to do anything now or is it just in place after 8 days? I've delegated all my power! By my power vested in you; I trust you guys will do more great things! very interesting! I am thinking on becoming a sponsor too! As new user, it is hard for me to transfer my little SP. Push me! Lol what the hell, didn't even notice it was waiting-in-line. I mean, sure I was a bit sad for not getting rewards unlike the promises, but I thought it'd come eventually. Thanks for making a change in the matter, it may make it super interesting for me/us. Heck, I may even consider delegating more. kept getting an error. tried different keys and passwords but same error. brilliant idea. one i'd been hoping to see for a while. i'll be delegating ! I wish I became super active upon joining here. You are still at the very beginning here. Do not worry about the past. If you get to work and build up followers you can start to do good here. Good Luck. a tree does not make a forest, while a single person cannot make a crowd.it true that a simple thank you can change many things, it can even inspire the author to do more to promote steem. I was looking for my name in your post but I hope you will have my name in the future Thank you for your initiative. Your initiative will be interested in everyone's work. Thanks to The Moderators-from me-hard worker,,,,,!! so people help me here, as I am new on this utopian thing. if I delegate 100 SP, I'll be payed every week in steem???? is this a sure thing??? 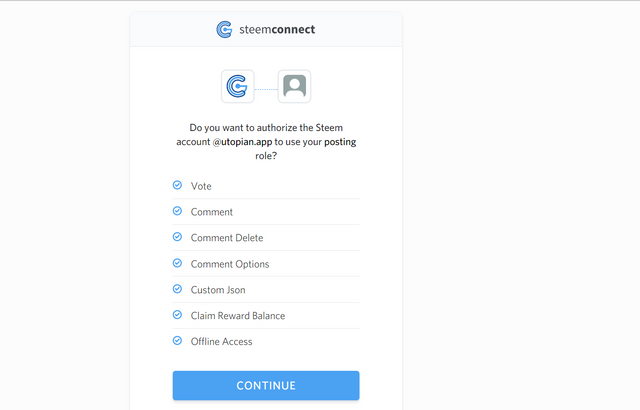 so the utopian will use my SP to vote and in one week I will my share of steem??? Is there any way to calculate the expected profit share based on the amount of SP delegated? If you guys could make a simple calculator, it would be very helpful for users to get an idea of how much profit they could make if they delegate to Utopian. Hello. I'm still a bit confused on what needs to be done to join this. Do I just sponsor them or is there more to be done? Amazing article. Upvoted and followed. Looking forward to more! How did you send rewards ? It is a good news thanks ! I think this will motivate a lot of folks to delegate to utopian, and they should cause utopian is only rewarding the contributors and not for its benefit but for the greater good of the steem community and open source, (every one now has a share of the cake) if only i could do more. This sounds amazing! Great work! I can't wait for it to start . Great initiative but I see this more as an benefit for the greater steemit user. Is there also an opportunity for minnows to benefit from utopian? great plan, i will delegate all my SP .........I believe in our UTOPIAN and his future .. This is the best change on our side. We have been working hard to compansate need of approval process. Zerg attacks(no offense, just a funny comparison) got my nervs many times. But now more pleasure than before. Great job with this guys! Thanks for thinking about the little guys like me :D Best decision I've made in terms of delegating was delegating to you. I'm glad to see my delegation being put to good use, helping give way to innovation. I can work for a English Turkish translator but I can’t solve the system is there anybody who can explain me system ? Thank you for sharing this @utopian-io ! I will become a Utopian Sponsor. I would like to enter and delegate the force, but in order to register, you must first reset the registration in Steеm. It is impossible to facilitate registration, directly from Steema? The creativity of some people and companies will always leave me in awe. Is there a minimum amount that you can delegate or Any amount os accepted? I just gave you a Witness, How do you become a Sponsor? Your post is not that clear. You have be up voted & re steem. Damn .. this looks like smart thinking! Please don't SPAM... Take a look in this before hurting your reputation.